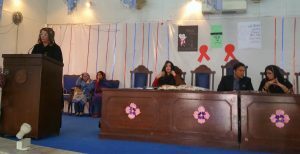 The KKAWF Drug Awareness Week was arranged at the various public schools in Gujrat. 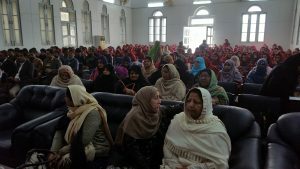 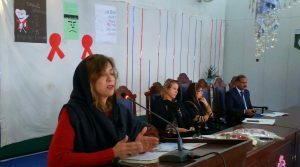 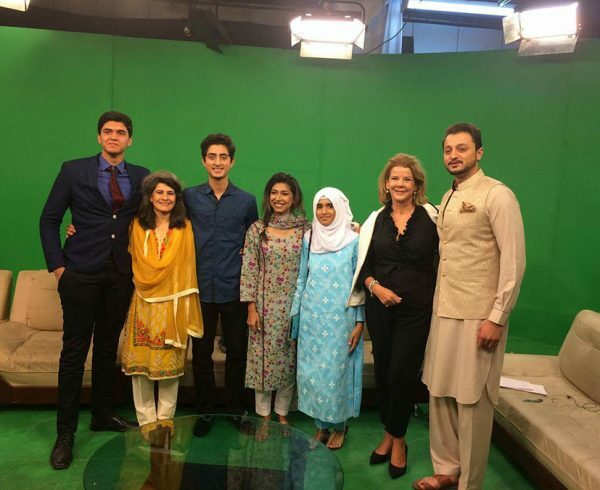 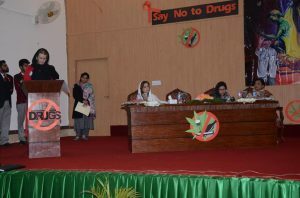 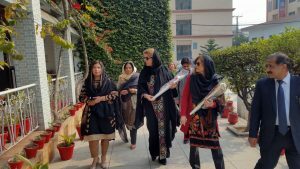 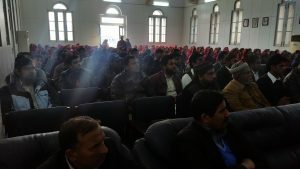 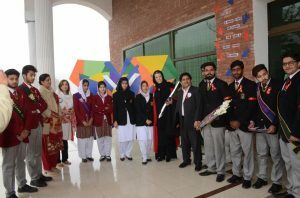 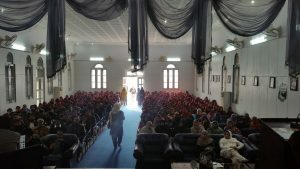 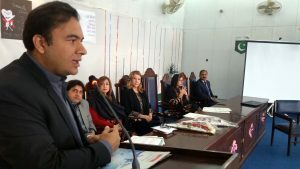 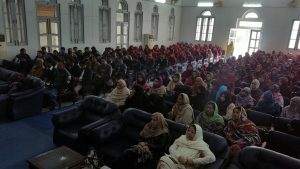 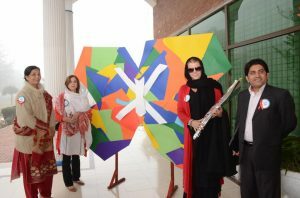 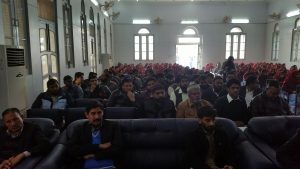 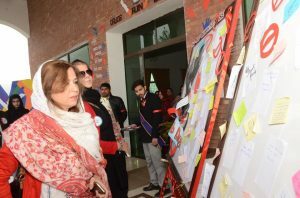 The Chairperson shared with the students and the teachers the drug abuse problem in Pakistan in details and her personal loss which motivated her to stand up against this menace and to make Pakistan a drug-free country. 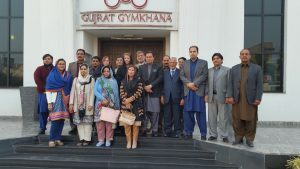 The presentations were also attended by the District Education Officers, Assistant Education Officers and faculty. 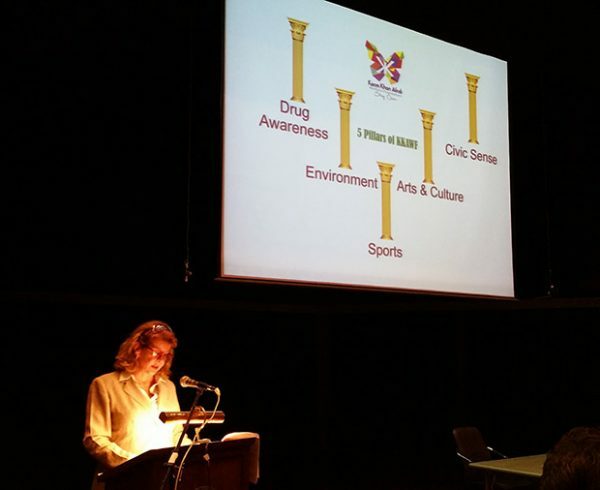 The talk was followed by a small questionnaire and the pledge to stay drug free. 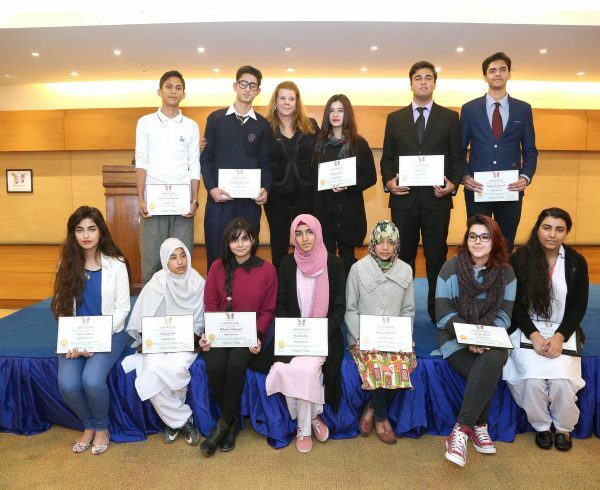 The students also participated in the essay writing and the winners were given certificates. 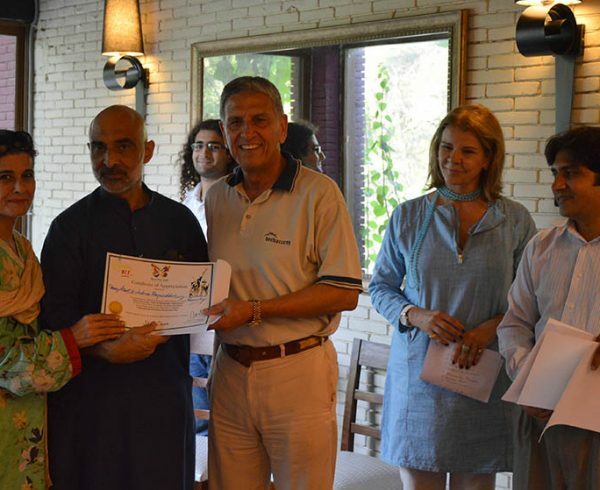 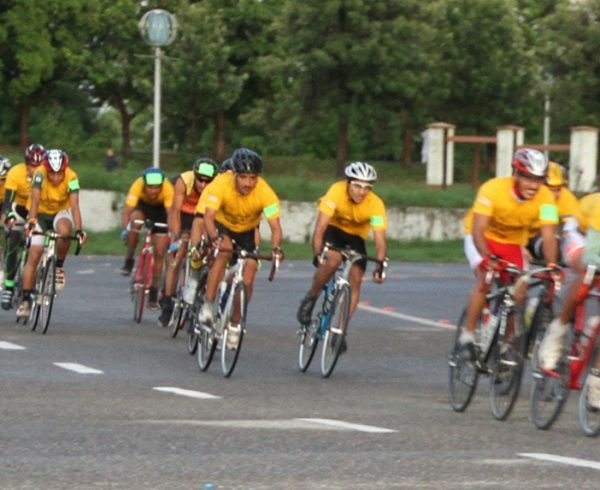 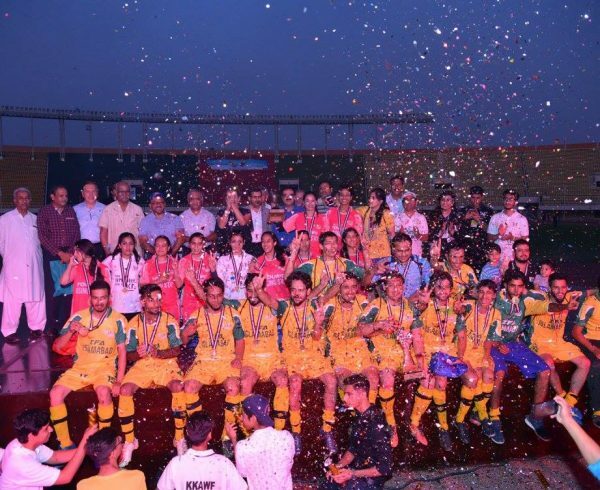 A poster competition was held and the Winners, Runner-Ups and the 3rd position holders were given certificates. 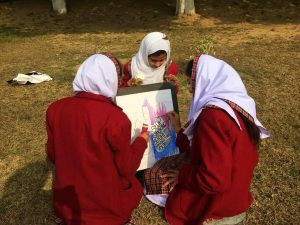 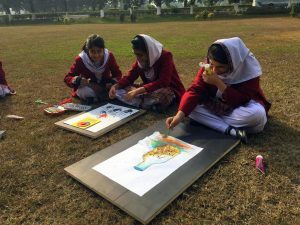 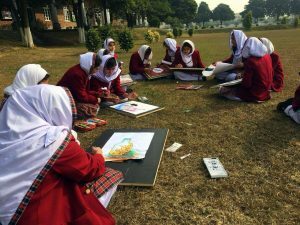 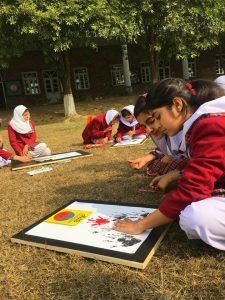 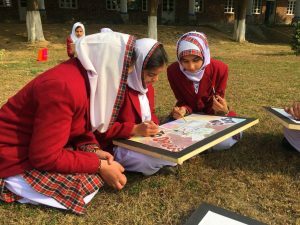 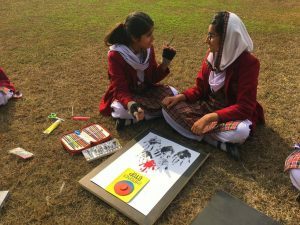 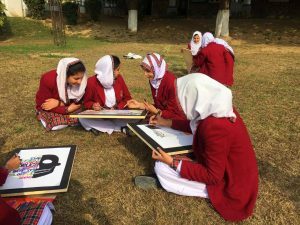 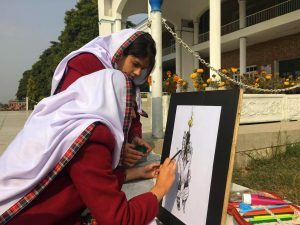 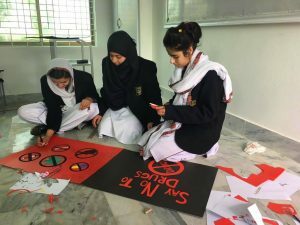 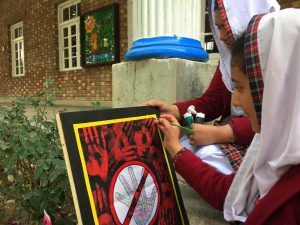 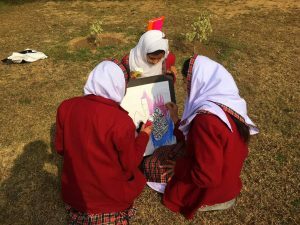 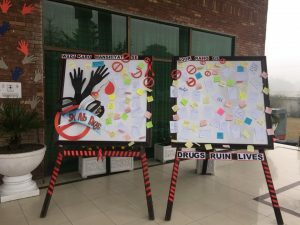 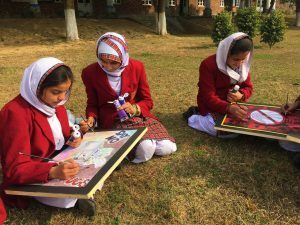 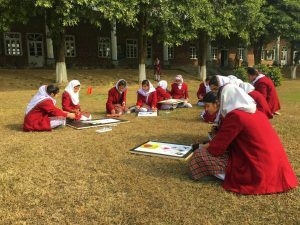 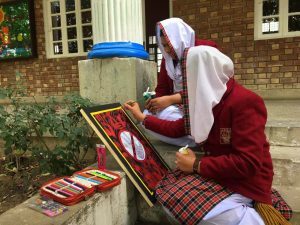 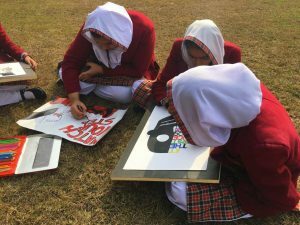 The students enthusiastically participated in the art/poster activity and helped spread the drug awareness message through their posters. 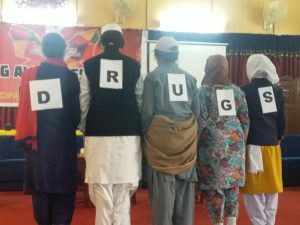 On the last day of the KKAWF Drug Awareness Week, the students also presented a skit performance on the issue of drug. 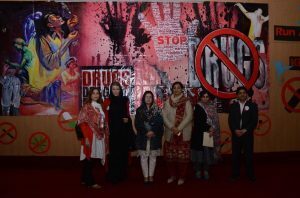 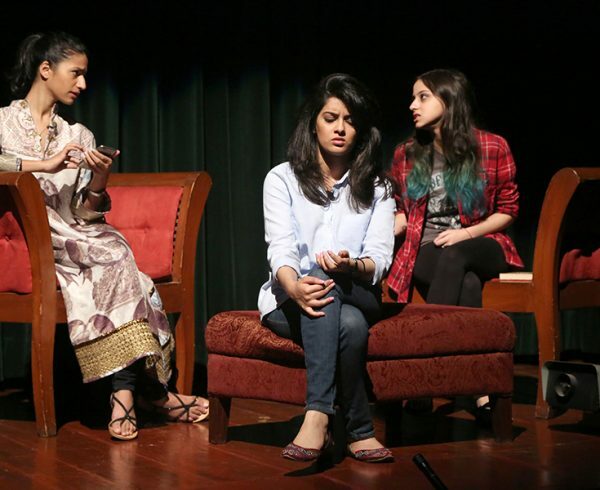 The performance contained a loud and clear message of staying away from drugs, while the performers were actually acting as drugs and talking to an addict, stating how they destroy an addict, his family, friends and the society at large. 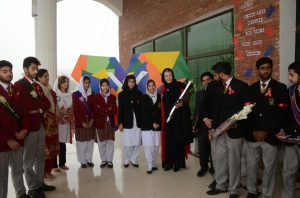 The skit was enjoyed by the students and the teachers. 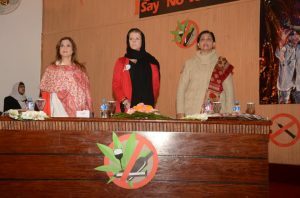 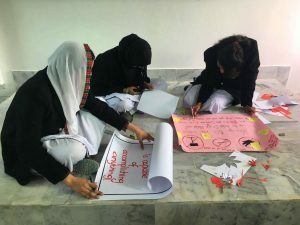 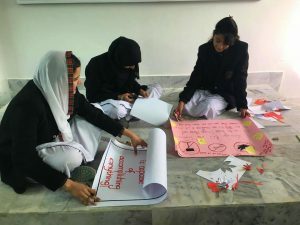 A group of students also performed a small skit with the role of the Chairperson Mrs. Cristina von Sperling Afridi, convincing an addict to quit drug addiction and come back to normal life. 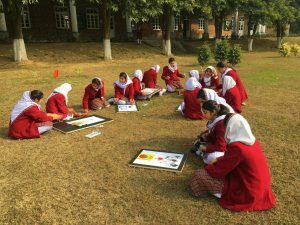 The week ended with a Football and Cricket matches of girls and boys.